Rendering is the name for the application of mortar onto brickwork to achieve a solid, waterproof surface. Internal rendering usually consists of applying a scratchcoat to interior brickwork walls, followed by a top coat which is then ruled off and ‘floated’ to achieve a flat surface in preparation for finish coat plastering. We also do external rendering with various techniques and finishes for different styles. Depending on the ‘look’ required, rendering can be fine or coarse, textured or smooth, natural or coloured, pigmented or painted. The cement rendering of brick, concrete and mud houses has been used for centuries to improve the appearance (and sometimes weather resistance) of exterior walls. It can be seen in different forms all over southern Europe. Different countries have their own style and traditional colours. Roughcast or pebbledash is a coarse plaster surface used on outside walls that consists of lime and sometimes cement mixed with sand, small gravel, and often pebbles or shells. The materials are mixed into a slurry and are then thrown at the working surface with a trowel or scoop. The idea is to maintain an even spread. 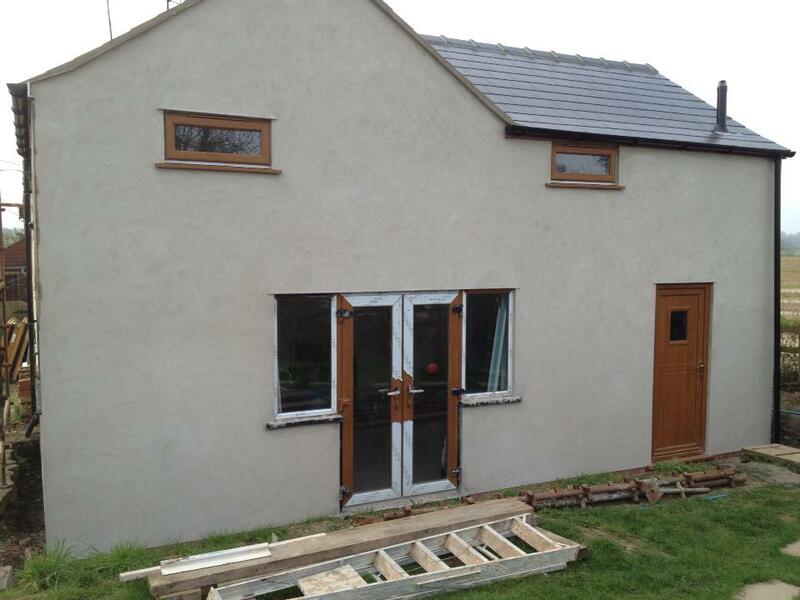 WBS Tyrolean is a cementitious cement based render incorporating silicone technology. Applied using a hand operated or open-hopper spraying machine, the unique ‘honeycomb’ texture is built up using several strokes from different angles until a finished thickness of 4mm – 6mm is achieved. Hardwearing & weatherproof, therefore highly suitable for coastal, suburban and rural environments. The render can also be coloured in various different colours for extra effect. Pebble dash is a form of rendering where pea shingle or stone chippings are thrown onto sand and cement base. 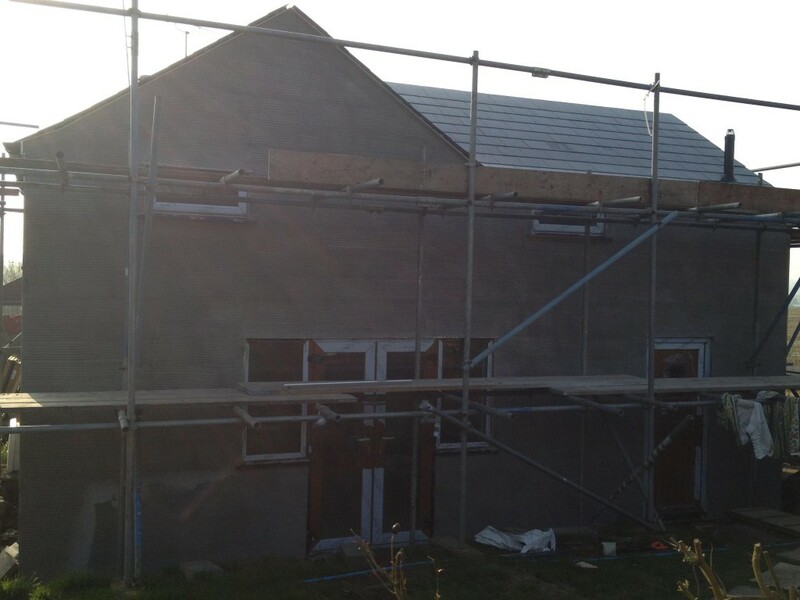 Roughcast is crushed stone mixed with cement and applied to walls. Arts & Crafts or Tudorbethan style homes used pebble dashing as a design feature. Coloured render is sometimes known in various parts of the world as Monocouche. Monocouche renders are a type of decorative finish applied to the outside of buildings to provide both decoration and weather protection. We use JH Professional Plastering basement tanking systems and apply them to either the positive pressure side or the negative pressure side of a substrate. Positive tanking pressure is achieved when the hydrostatic water pressure is pushing tanking onto the substrate. We have solutions for both preventing damp and correcting damp. 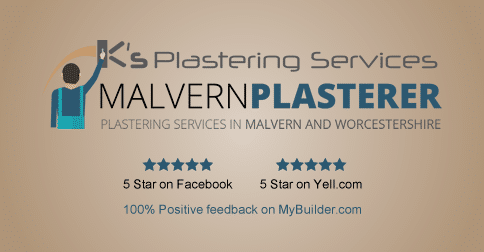 Screed is used to finish off a concrete floor not less than a inch and a half, it’s made from course sharp sand and cement, where as render is put on walls the sand is called either plasterers or fine sharp sand and cement.